The Phú Quốc real estate market is expected to benefit after finally becoming a special administrative and economic zone. Nguyễn Chí Dũng (minister of planning and investment) said that when the zone is approved, it will attract a lot of investment in the coming years. In 2004, the government approved a plan to develop Phú Quốc into a major national, regional and international tourism and trade centre. It has provided incentives for Phú Quốc to encourage foreign and domestic investment, such as land rights, reduced corporate income tax of 10 instead of 22 per cent, and a 50 per cent reduction in personal income tax. In March 2014, it also implemented a 30-day visa exemption policy for foreigners and overseas Vietnamese, to boost the number of tourists visiting Phú Quốc. In 2017, Phú Quốc International Airport served around three million passengers, which exceeded its design capacity of 2.6 million passengers per year. According to the Việt Nam National Administration of Tourism, in 2017, Phú Quốc welcomed nearly two million visitors, a yearly increase of 35 per cent, of which the number of international visitors reached over 361,450, an increase of 72 per cent, exceeding the target of 20 per cent. Due to its open policy and reduced barriers, Phú Quốc has developed significantly in terms of infrastructure, which includes its international airport, electricity, water, telecommunications, roads, hotels, restaurants and amusement parks. The recent average growth rate of Phú Quốc is around 27.5 per cent, and its top performing economic sectors, such as tourism, grew by over 30 per cent. Recognising the tourism development potential of this “emerald island,” major corporations, such as BIM Group, Sun Group, Vingroup and CEO Group, have developed hotels and resorts. Real estate giants have also changed the face of the island, by providing thousands of hotel rooms and villas each year. By 2020, Phú Quốc is expected to have capacity of around 10,000 rooms, the highest number in the country, and the ability to welcome nearly three million visitors annually. Through this significant and rapid development, economic experts have raised concerns that the property market in Phú Quốc will soon be saturated. However, the market is showing that this fear is of no immediate concern. Phú Quốc's property market will become more attractive, especially once it becomes a special administrative and economic zone. The Standing Committee of the National Assembly recently reviewed a draft law on special administrative and economic zones. During its upcoming mid-2018 meeting, the National Assembly will conduct its final discussion on the law and vote on it. When the law is finally passed, Phú Quốc, Vân Đồn and Bắc Vân Phong will become the first three special economic zones of Việt Nam. Nguyễn Chí Dũng stressed that if the country wants to develop, it needs to create special administrative economic units with specific incentives, such as a favourable location, competitive structure, effective organisational framework and reduced compliance costs. International knowledge and experience in building and managing special zones show that the special zone model strongly appeals to investors, he added. This positive outlook has caused excitement in Phú Quốc’s real estate market. Investors believe that the special zone policy will the “second dawn” of the emerald island and help Phú Quốc to attract new investment, mainly in tourism. Phú Quốc’s tourism sector has already attracted major players, such as AccorHotels, Hyatt, Wyndham Hotel Group and Regent Hotels and Resorts, the only six-star luxury brand in the world. 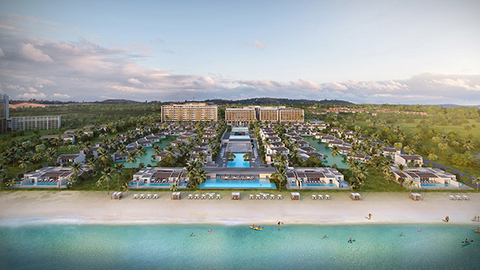 Regent Residences Phu Quoc has showcased the presence of the company in Việt Nam, in cooperation with BIM Group. In April, the InterContinental Hotels Group (IHG) acquired 51 per cent of Regent Hotels and Resorts. After the deal, Regent Hotels and Resorts became IHG’s leading brand. Regent Residences Phu Quoc is the third component of the Phu Quoc Marina Tourist Complex, covering a total area of 155 hectares and located on a one kilometre long beach in Bãi Trường, which is famous for having the most beautiful sunset on the emerald island. 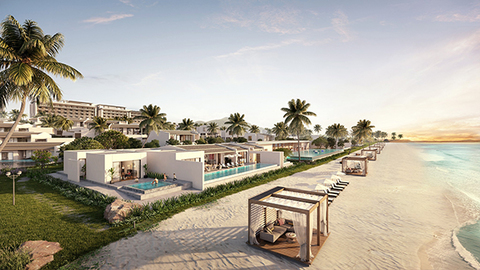 With a six-star rating and a perfect sea view, Regent Residences Phu Quoc consists of 76 luxurious sea villas and 42 sky villas, as well as 120 luxurious hotel rooms and facilities, such as a rooftop sky bar, a gym, a Michelin star restaurant, a beach club and spa. The project has an exquisite and high-class design, combined with the rich indigenous culture. 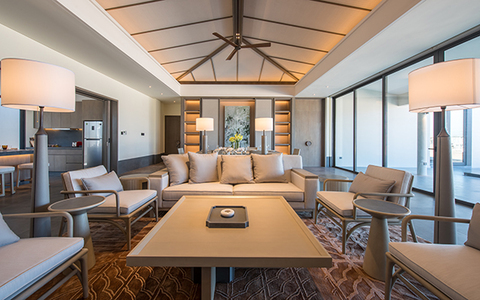 Every villa at Regent Residences Phu Quoc is a unique masterpiece. Regent Residences Phu Quoc also has a flexible lock-off design that provides the separate rooms of a villa with a pool entrance. Each villa can serve two to three groups of customers at the same time. With its prime location, flexible leasing and international brand name, Regent Residences Phu Quoc is the best option for investors looking for a high-end investment that is safe and provides a sustainable annual profit. The emergence of luxury brands in the island’s resort sector, such as Regent, makes observers optimistic about the future development of Phú Quốc’s tourism sector. Customers believe in the investments of world-class investors.